The XDA developer has released a working root method for the Samsung Galaxy Note 4 model number SM-N919H. 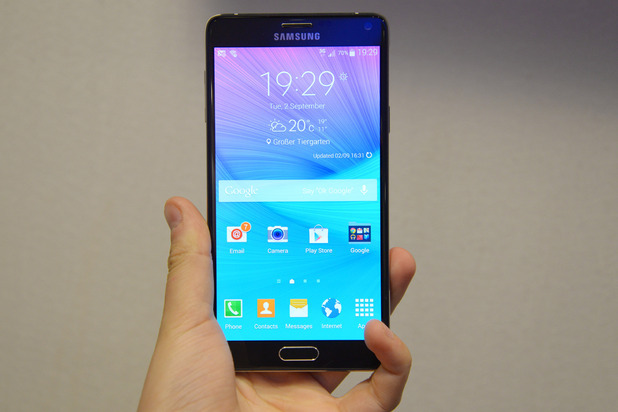 Now you can easily gain root access on your Galaxy Note 4. In this step-by-step guide we are going to learn how to use the CF-auto root method to safely and successfully root the Galaxy Note 4 SM-N919H. So without wasting any time let’s move on and get started. Rooting will voids your phone warranty so root at your own risk. Download and install the USB drivers on your PC from Here. Enable USB debugging from Developers Options from Settings. Download CF-auto root zip package from HERE. Download Odin v3.09 from HERE. Carefully read and follow the instructions to safely root your phone. Step 1: First of all download the required files from the above section. Step 2: Now unzip the Odin3 and CF-Root zip packages on your desktop. Step 3: Run Odin application on your PC. Step 4: Reboot your Galaxy Note 4 into Download Mode by Pressing and Holding the Volume Down+Home+Power button simultaneously at the same time and release it when you see a warning message on your screen. To continue into Download Mode hit the Volume Up key. Step 5: Finally connect your phone to PC via the USB cable and make sure Odin detects your phone. Step 6: Next click on the PA or PDA button in Odin and select the tar.md5 rooted kernel file from the files you’ve extracted earlier. Step 7: Moving on click on the START button to initiate the rooting process for Galaxy Note 4. Step 8: Give it a minute and once it completes your device will reboots and Odin3 will you PASS!! green signal which confirms your Galaxy Note 4 SM-N910H has successfully been rooted. Congratulations! You’ve now successfully rooted the Samsung Galaxy Note 4 SM-N910H using the CF-root method. To verify root access on your phone, Install the SuperSU app from Google Play Store and run it to verify. Do let us know and share your own views in the comment section below. For more Rooting tutorials keep visiting. Android Central Copyright © 2019.